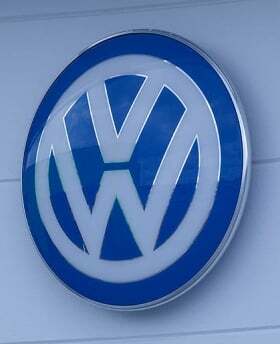 BERLIN (Reuters) -- Volkswagen Group warned that business conditions had become tougher amid declining auto markets. The business environment has become "significantly more difficult and tougher," the company said in a statement on Tuesday, citing CEO Martin Winterkorn addressing a staff gathering at the group's headquarters in Wolfsburg. VW works council chief Bernd Osterloh said in a separate statement that the automaker will keep growing but not as dynamically as in the past. VW has a goal of boosting annual sales to at least 10 million vehicles by 2018 when the company wants to replace Toyota Motor Corp. as the world's biggest carmaker -- a target reaffirmed on Tuesday by Winterkorn. VW has been saying for months that the carmaker is bracing for "challenging" conditions in the remainder of 2012 as core European markets extend their slump. The region's car sales fell 8.9 percent in August with Germany, which had long resisted the collapse, shrinking 4.7 percent. Overall European car sales have fallen for 11 straight months. German automakers have so far been immune to the sales slump hollowing out profits at many Western mass car manufacturers. VW has outperformed its home region this year, keeping eight-month group sales flat thanks to a 5.2 percent increase at luxury division Audi, VW's main profit driver. Conversely, VW's southern European peers PSA/Peugeot-Citroen, Fiat and Renault all suffered double-digit declines, reflecting their excessive exposure to the region's austerity-hit markets. Winterkorn's remarks come less than a week after Daimler warned that operating profit at its flagship Mercedes luxury-car division would fall short of planned targets this year, citing the deepening European slump and increasing competition in China. The day before, VW's newly-acquired sports-car division, Porsche, said it would build fewer cars next year, trim spending and cut costs to offset weaker-than expected auto sales. "We are gearing up for a challenging environment," Daimler Chief Executive Dieter Zetsche said on Sept. 20.